Feb 14 - We Love PS 154 Day - Show your spirit by wearing pink or red! We had about 240 students participate in the Read-A-Thon this year. We are so impressed with all the children who meticulously recorded their reading and met their ambitious goals. We are also so grateful to the many parents, friends, and extended family who donated to our PTA as part of this fundraiser. We’ve already raised more than $14,000 and we’re still tracking donations! You can still donate here. We will have a final tally in the March PTA budget report. We’ve gotten a few questions about online donations. 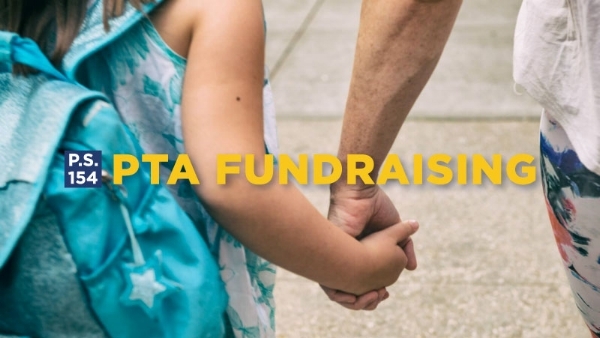 If you would like to know who donated online in honor of your child, please reach out to us at PTA_Info@ps154.org and we can provide you with that information. Read-a-Thon Prize Winners were announced by Mr. Buckley Thursday morning. WE LOVE PS 154 WEAR RED OR PINK DAY! Show your school spirit and love of PS 154 by wearing Red or Pink. Join us as the PS 154 PTA Diversity Committee hosts a fun and informative day in the MMR. We are currently looking for volunteers to host a table at which kids can stop and learn about a different country. Play a game, sing a song, build a craft — please join us and share something special associated with your heritage. Please email abbypalancapta@gmail.com and skellyfranci@hotmail.com to volunteer. LOST & FOUND WILL BE DONATED WED, FEB 14! Check for your child's lost water bottles, hats, mittens, jackets, etc! Dec 2 - Winter Fair, noon-4pm Sign up to help! Dec 5-8 - Book Fair, Sign Up to Help! Forms are being sent home via backpack by Monday with more information about making an appointment for this date. Please note, it is difficult to meet with everyone in the short time teachers are given for this. Teachers are allotted a limited amount of time on this day to discuss your child's progress so we are asking that you arrive on time to your appointments. If you are late, you will most likely have to reschedule for another date. The teachers have to keep to their schedule so they will need to limit your questions. If you have other concerns that aren't able to be discussed, please send a note to your teacher to meet at another time. You can contact your teacher directly if you have questions, or contact our Parent Coordinator, Debby Wattenbarger, at dwattenbarger@schools.nyc.gov. Thanks PS 154 parent Nick Chang for setting us up with this fundraiser where YOU get 15% off at Modell’s and PS 154 gets 5% back on every purchase you make! Please check your child’s backpack’s for the paper coupon. Or show this digital coupon on your phone at checkout. Extra coupons for friends and family can be picked up in the main office. Check out the MANY ways you can help PS 154 during this holiday shopping season. PS 154's annual Winter Fair is our biggest fundraiser of the year and we hope to see you there. For right now… we need your help! Volunteer! We still have 36 slots to fill—please pitch in at this community event. Donate food! Casseroles are great, sweet treats are terrific. Plus, the Teacher Experience Raffle is now open with online pre sales for your convenience. Please make plans to visit our Book Fair. All classes will have an opportunity to shop during school. We will also be open during Parent Teacher Conferences on Dec 7 with an additional adult selection. Books start at $5 and go up from there. We will also have used books for $1. 35% of the proceeds will go to the PTA! Thank you Fork + Pencil! Parents and family, please sign up to help. WE'RE COLLECTING USED BOOKS FOR THE FAIR THIS COMING WEEK! We'd love to sell any gently used elementary age appropriate books at the fair and will be accepting them Mon, Nov 27 through Fri, Dec 1 in the MMR. Thanks PS 154 parent Nick Chang for setting us up with this fundraiser where YOU get 15% off at Modell’s and PS 154 gets 5% back on every purchase you make! Please check your child’s backpack for the paper coupon. Or show this digital coupon on your phone at checkout. Extra coupons for friends and family can be picked up in the main office. Get an update from Principal Buckley about Responsive Classroom Training and other school news, and get an update from Community Board 7 chairperson Jeremy Laufer about what’s going on in our community. Bring your concerns or ideas about our neighborhood! Also, VOTE on adding the Diversity Committee mission statement to our PS 154 PTA Bylaws. Volunteer! We still have 52 slots to fill—please pitch in at this community event. Plus, the Teacher & Staff Experiences Raffle — where kids can enter to win an experience with their favorite teacher or staff member — is now open with online pre sales for your convenience. Please make plans to visit our Book Fair. All classes will have an opportunity to shop during school. We will also be open during Parent Teacher Conferences on Dec 7 with an additional adult selection. Books start at $5 and go up from there. 35% of the proceeds will go to the PTA! Thank you Fork + Pencil! We will also have used books for $1. Parents and family, please sign up to help. Also, save your USED BOOKS! We'd love to sell any gently used elementary age appropriate books at the fair and will be accepting them Mon, Nov 27 through Fri, Dec 1 in the MMR. Nov 17 - Movie Night — movie to be announced soon! Are you a new family? Do you want to welcome new families? Do you just need a drink? Come to a happy hour to get to know PS 154 parents and support the PTA. Buy drink tickets for $6 each, at The Double Windsor on Prospect Park West, and half the proceeds go to the PTA of PS 154. Contact PTA Membership Manager Teri Roth with questions. PS 154's annual Winter Fair, our biggest fundraiser of the year, is fun for all ages. Enjoy inspired craft making, student performances, teacher experience and toy raffles, as well as a tasty lunch and delicious baked goods. There will also be a wonderful silent auction to enhance your holiday shopping. From event tickets and vacation stays to unique experiences and gift cards, everyone on your list will be covered. 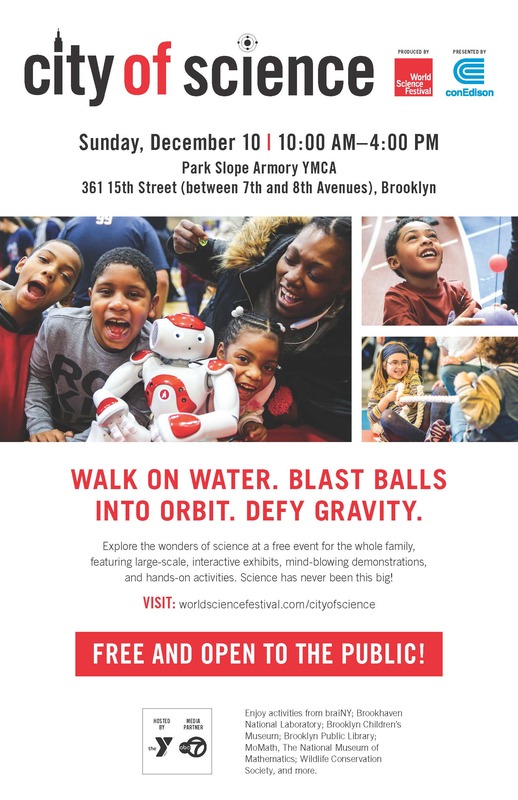 Plus, the wonderful Brooklyn Game Lab is sponsoring this event for the second year in the row, hosting amazing game experiences for the kids! Volunteers are needed! Also, please sign up to donate food. WE NEED AUCTION ITEMS - FROM YOU! Our auction committee members are already hard at work soliciting donations, however, the best and most interesting donations come from you, and those close to you, who adore your children. Can you help? Please reach out to Auction and Sponsorship Chair Jaymie Kelly at PTA_Info@ps154.org. We have some Casio Keyboards that used to be part of our music program and are no longer being used. They are in excellent condition. We are selling them for $20 each. All proceeds benefit the PTA of PS154. Buy one here. WE NEED AUCTION ITEMS – FROM YOU! Our auction committee members are already hard at work soliciting donations, however, the best and most interesting donations come from you, and those close to you, who adore your children. Several PS 154 parents have already made fantastic donations or have connected us with someone who can (thank you very much! ), but every year we must get NEW donations, as older parents leave. teach a class, give lessons, or tutor and can donate their time and expertise? have connections for tickets to performances or special events? have a skill that would provide a service or unique experience for a child, adult or family? own or work at a business which can donate a gift certificate, merchandise or service? own a vacation home and can donate a week long or weekend stay? Please let us know what you’d like to donate by emailing Auction and Sponsorship Chair Jaymie Kelly at PTA_Info@ps154.org. BUY A CASIO KEYBOARD AND SUPPORT PS 154! We have some Casio Keyboards that used to be part of our music program and are no longer being used. They are in excellent condition. We are selling them for $20 each. All proceeds benefit the PTA of PS 154. Buy one here. We encourage you to invite a grandparent, aunt, uncle, or special family friend to share in the joy of participating in your child's classroom from 8:35-9:15 am (our usual time for Family Friday). We hope this day will be a great opportunity for your child to share a small piece of their school experience with someone close to them. We ask that only one (maximum 2) visitors per child attend, so that there's enough room for everyone's special friends and family. We are looking forward to welcoming your child's special family and friends to PS 154! For special friends and family, please let us know if they would like to join us for a PTA-sponsored breakfast in the MMR after Family Friday. RSVP here. Please note that if your child doesn’t have a “special” someone to attend, a parent or guardian is still welcome! Are you a new family? Do you want to welcome new families? Do you just need a drink? Come to a happy hour to get to know PS 154 parents and support the PTA. Buy drink tickets for $6 each, at The Double Windsor on Prospect Park West, and half the proceeds go to the PTA of PS154. Contact PTA Membership Manager Teri Roth with questions. Visit www.ps154.org/your-pta to check out meeting minutes and budgets from our first two PTA meetings. Oct 21 - Boo Bash, 5pm We STILL need your help! Sign up here. We can’t wait! Buy your tickets online today and save time at the door! We still need a few VOLUNTEERS! Sign up here. And please consider dropping off some baked good for us to sell. Drop off tomorrow between 11-5. Children carry their little orange boxes and collect donations while trick-or-treating. The boxes will be available at Boo Bash on Saturday 10/21 and then in the main office up until Halloween. You can donate money collected online. Or, you can bring it to the collection stations along the Park Slope parade route from 3 to 7pm on Halloween. Thank you to Sun Dojo and PS 154 parent Laurel Carroll for the fantastic Self-Defense for Kids & Tweens class last weekend. 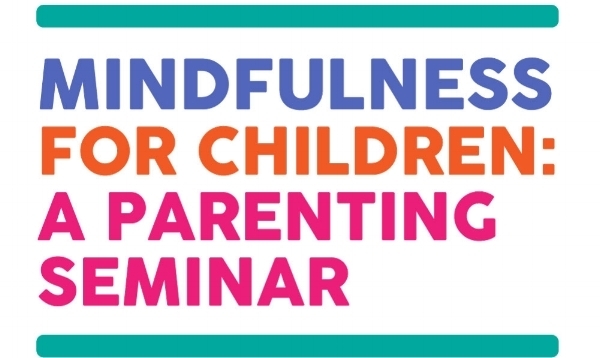 Because the event sold out, you may not have been able to access this class for your child. Sun Dojo is planning a pre-teen and teen class on November 4. Stay updated by visiting Sun Dojo’s website to be aware of future self-defense classes for kids. Thank you to parent Abby Palanca for organizing Picture Day this week! Proofs from Stomping Ground, our photo vendor, are expected to arrive around November 8. If you’re child was absent, make up day is November 13. Fifth grade cap & gown photos will also be taken that day. Questions? Email Abby Palanca at abbypalancapta@gmail.com. State Assemblymember Bobby Carroll will talk about state budgeting and how it affects our school. We are proposing a PTA expense of $1,000 to support our teachers in their work with the Diversity Book Club. You will have a chance to speak if you wish, and we will all vote. Learn how to apply to PreK, Kindergarten, and Gifted & Talented programs. Find out about all District 15 Middle Schools, also hear Superintendent Anita Skop's Contract for Excellence (C4E) Presentation.